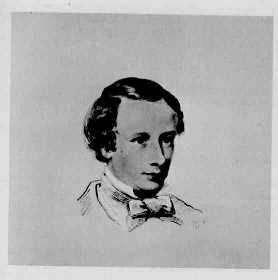 Coventry Patmore born, 23 July, in Woodford, Essex, eldest son of Peter George Patmore, literary journalist, and Eliza Robertson. Poems published, Coventry's first collection, at his father's urging. Early periodical prose appears, continuing for about twenty years. Receives British Museum appointment through Monckton Milnes. Birth of first son, Milnes. Associated with the Pre-Raphaelites; interests Ruskin in them. Tamerton Church-Tower, second collection of poems. Birth of first daughter, Emily Honoria. The Betrothal, first part of Angel in the House, published anonymously because of furor over P. G. Patmore's My Friends and Acquaintance. The Espousals, second part of the Angel. Daughter Bertha born. Faithful for Ever, third part of the Angel. Son Henry John born, Ruskin his godfather. Emily Augusta�s health failing. Children's Garland, anthology of poems prepared by Coventry and Emily. 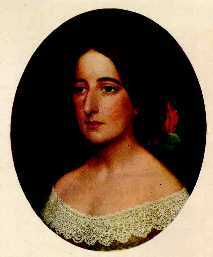 5 July, Emily Augusta dies of consumption. Victories of Love, fourth part of the Angel. Journey to Rome with Aubrey De Vere; conversion to Roman Catholicism; marries Marianne Caroline Byles (Mary Patmore). Buys Heron's Ghyll, estate in Sussex, becoming a country gentleman. Emily Honoria enters the Convent of the Holy Child Jesus. Leaves Heron's Ghyll for a winter in London. Moves to the Mansion, Hastings, Sussex. Emily makes vows, teaches at St. Leonards, near Hastings. Life of Bryan Walter Procter written at the request of his widow. Unknown Eros, odes 1-21. Amelia privately printed, then published with other poems. Unknown Eros, odes 1-46. Second wife, Mary Patmore, dies. 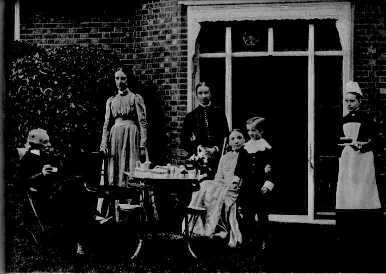 Marries Harriet Robson, Emily's friend and the younger children's governess. 13 July, Emily Honoria dies of consumption. Henry Patmore dies; Francis born, the only child of the third marriage. Henry Patmore's poems published with a memoir by his sister Gertrude. Begins writing short essays for the St. James's Gazette and other journals, continuing intermittently into the mid- nineties. Principle in Art (chiefly St. James's essays). Religio Poetae (a second collection of late essays). The Rod, the Root, and the Flower (brief essays and aphorisms). Patmore dies on 26 November. Emily Aususte Patmore, "The Angel in the House"
Oil Painting by John Brett, B. A.
Coventry Patmore. From a drawing by John Brett, R. A., 1855. Last updated: 25 February 1998. If you know about any other Web sites related to the life and works of Coventy Patmore, please e-mail me at matsuoka@lang.nagoya-u.ac.jp.